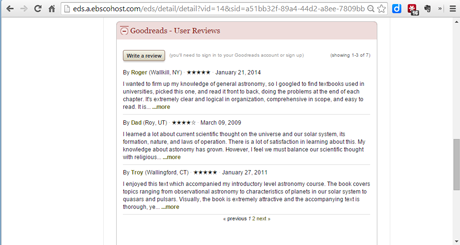 The Goodreads: User Reviews app displays reviews for the book records that users are interested in on EBSCO Discovery Service and EBSCOhost. 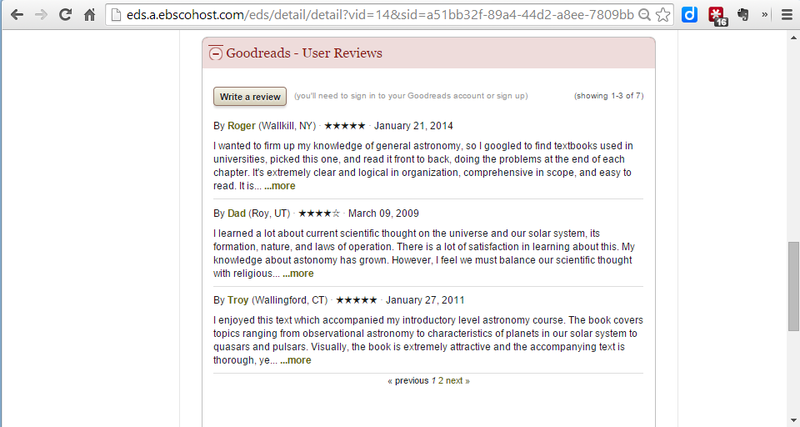 With this app, Goodreads users also have the option to add their own reviews directly from the interface. 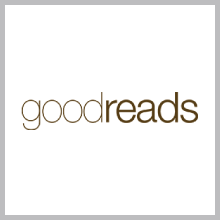 For more information about Goodreads, visit: http://www.goodreads.com.